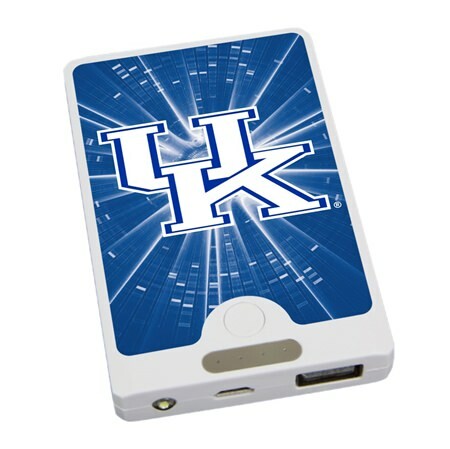 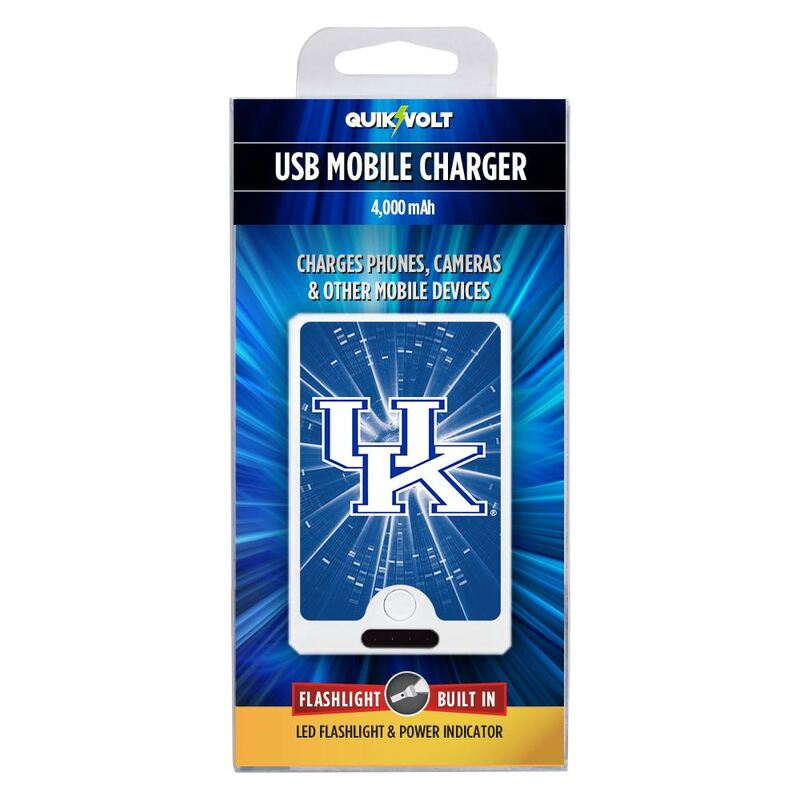 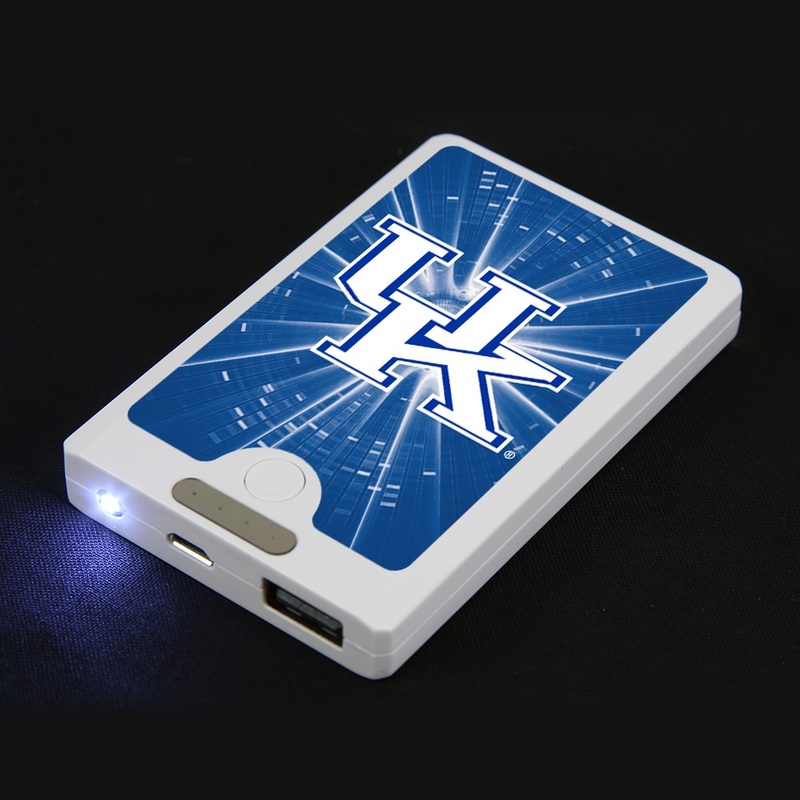 Charge your devices in style with the Kentucky Wildcats APU 4000LX Mobile Charger by QuikVolt! 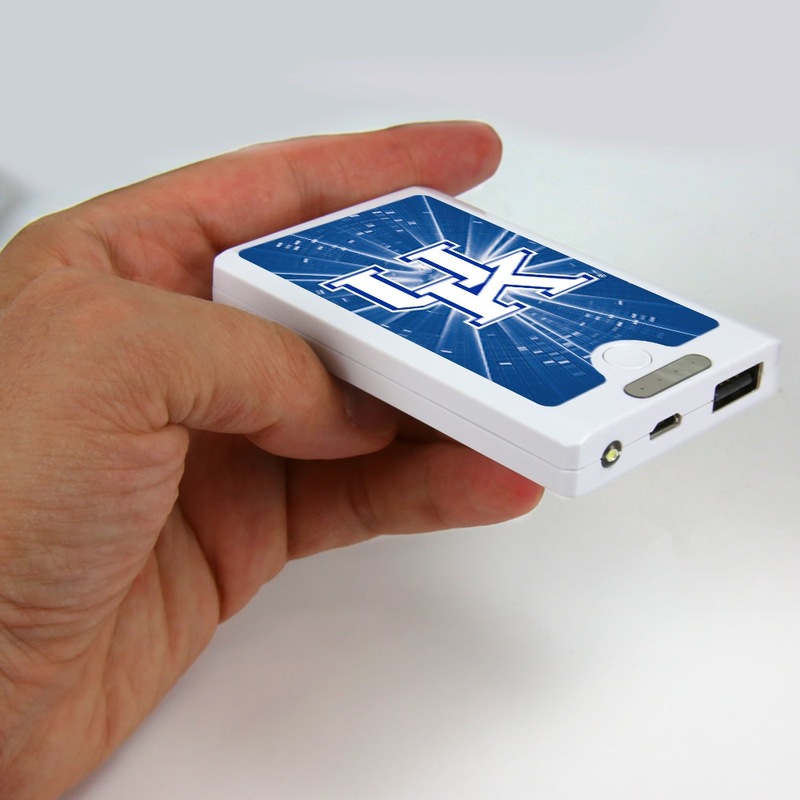 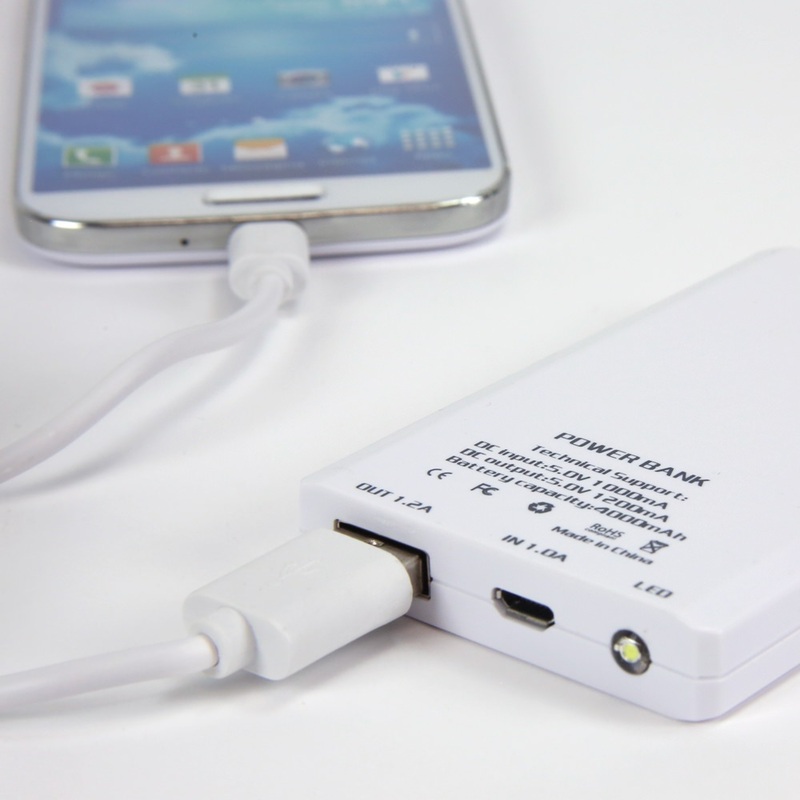 This portable charger doubles as a great LED flashlight, allowing you to plug your phone into the charger in the dark! 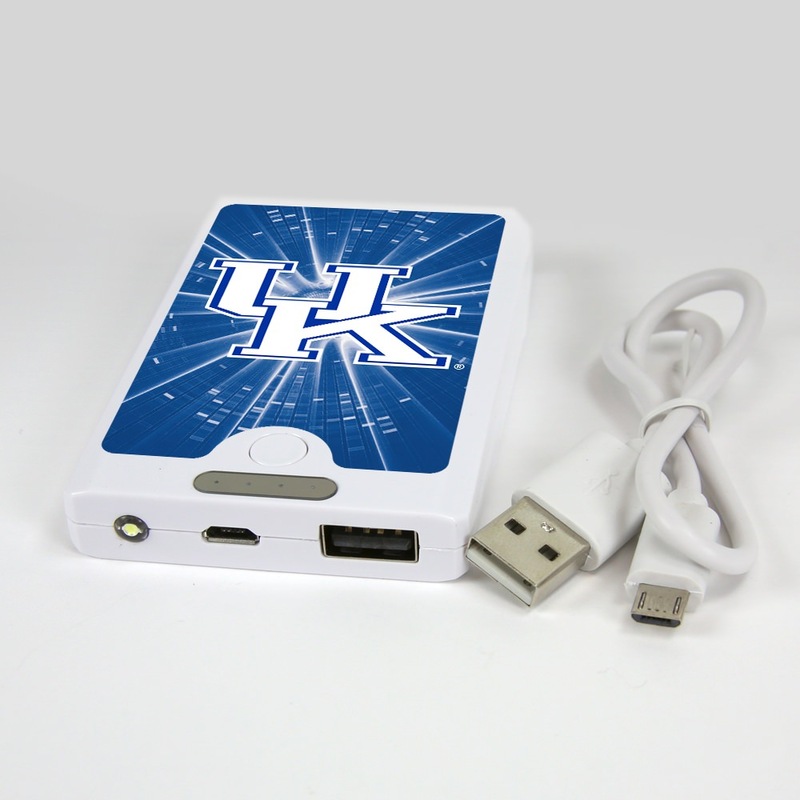 The APU 4000LX Mobile Charger is convenient for travel and a great way to show school pride!